Fusilli is one of the variety of pastas and it has a shape that looks like corkscrew. 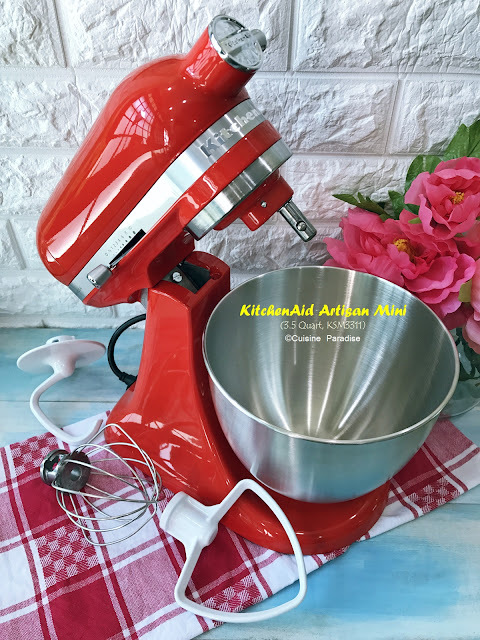 With its unique shape it makes it easier to coat on the sauce and therefore it is popular to use in making pasta salad. 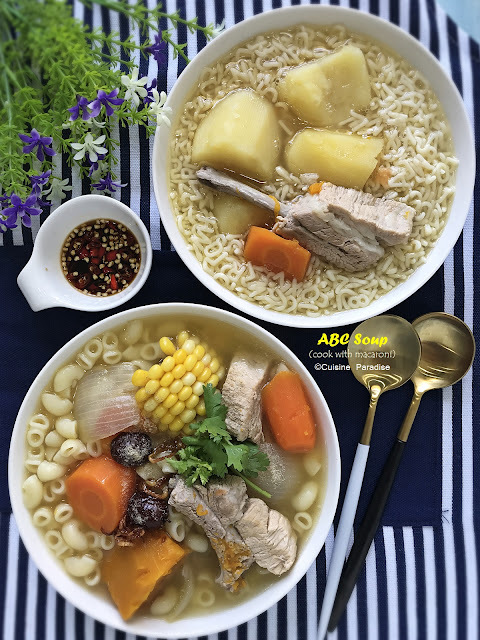 In this recipe I made a light honey lemon sauce to toss with the cooked fusilli and it goes well with pan-fried salon too. My family love this simple and flavouful weeknight meal which can be easily prepared in less than 30 minutes. Watch how we prepared this quick and easy PASTA SALAD. 1. Cook Borges Fusilli in salted boiling water according to packet instructions. 3. Lightly marinate salmon with salt and pepper then pan-fry with sliced ginger and garlic till salmon is browned on both sides. Remove and set aside. 4. Next saute minced garlic and chilli flakes with olive oil till fragrant before adding in mushrooms, capsicums and asparagus. 5. Stir in Honey Lemon Sauce follow by cooked fusilli and mix well. Top with salmon and egg before serving. For those who are studying or working overseas I am sure what you missed most is a plate of hearty local delight such as chicken rice, laksa or wanton mee. 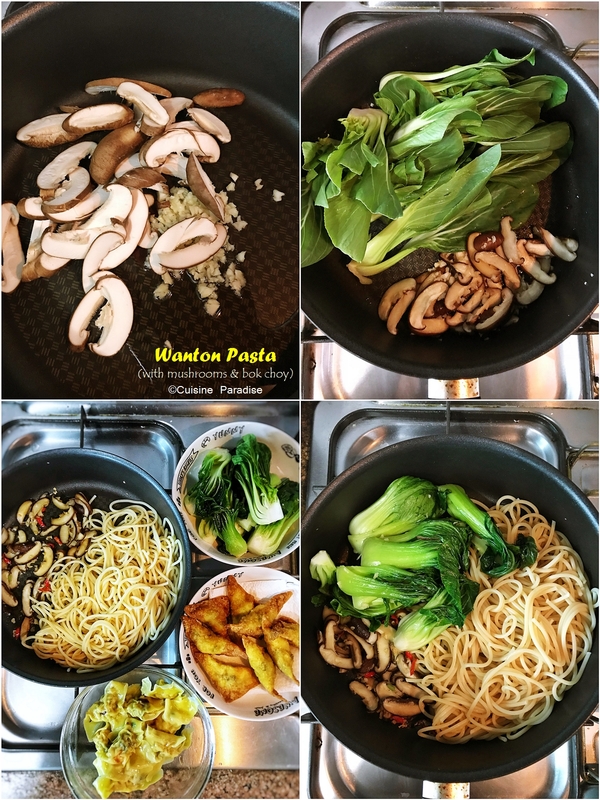 Here I prepared a quick one pan fusion wanton noodle using spaghetti noodle, wanton and seasoning sauce. 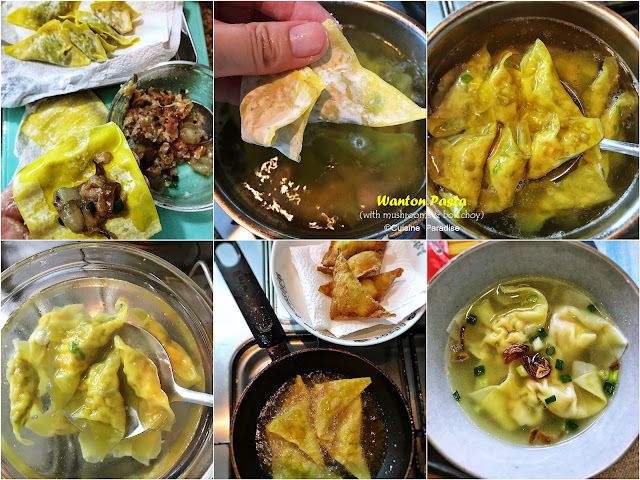 Most importantly the ingredients can be easily found in major supermarkets and if you have spare time you can even omit store bought wanton and wrapped some on your own. Watch how we prepared this quick and easy WANTON PASTA. 1. 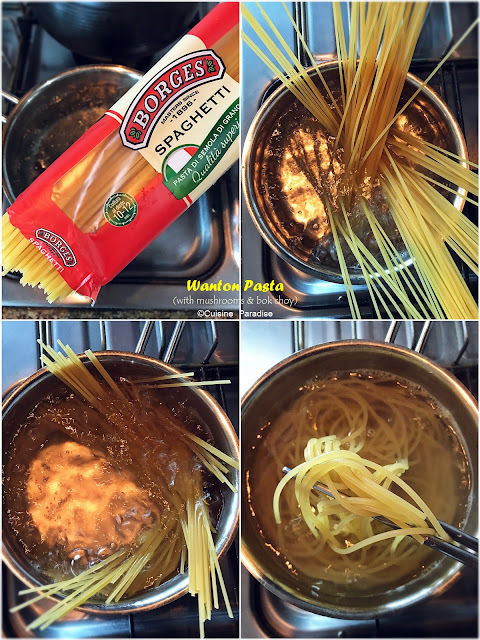 Cook Borges Spaghetti in salted boiling water according to packet instructions. 3. In a large skillet saute minced garlic and mushroom with olive oil for a minute till mushroom is soft. 4. Next add in bok choy and cook for 30 seconds before tossing in the cooked spaghetti and seasoning sauce. 5. Lastly serve noodle straight from pan or on serving plates with prepared wantons. 1. Marinate minced meat with remaining ingredients together and chill in the fridge for at least 15 minutes or more. 2. Next wrap each piece of wanton wrapper with 1 teaspoon of the filling and sealed the edges of the wrapper with cornstarch solution. 3. Cook wanton in salted boiling water with drizzling of oil for about 2 minutes till they float up, remove into a bowl of water and soak for 1 minute. Drain and set aside. 4. Alternatively you can use half of the wanton on the prepared anchovies soup and the remaining half to make deep-fried wanton. Cheesy pasta is always a comfort and hearty dish that is popular in western cuisine menu. Here I am using penne rigate because it can easily soaked up the flavour of the curry and cheese as compared to spaghetti or fettuccine. Watch how we prepared this quick and easy BAKED CHEESY CURRY PENNE. 1. 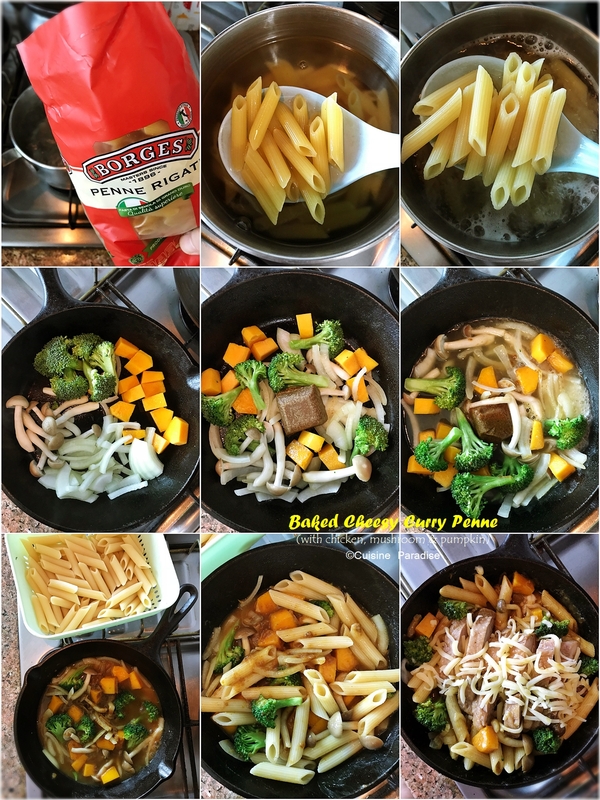 Cook Borges Penne in salted boiling water according to packet instructions. 2. In a lodge or oven-safe skillet add oil and saute onion, mushroom, broccoli and pumpkin over medium low heat for about 2 minutes. 3. Next add in curry cube and water then mix well till it dissolve before adding the cooked penne and simmer for a minute. 4. Turn off the heat arrange a layer of shredded cheese over the curry mixture. top with roasted chicken and remaining cheese. 5. Place the skillet (you can cooked in normal cooking pan and transfer the mixture into a baking dish before putting into the oven) in preheated 220 degree oven and broiled for about 10 minutes or less till cheese bubbled and browned. Remove and serve. Lastly I hope these 3 easy pasta dish will be useful if you are looking for some quick weeknight dinner ideas. Remember meal preparation is about feeling and your liking, so do add or subtract any of the ingredients to your preference. Disclaimer: This collaboration post is brought to you by Borges Singapore.